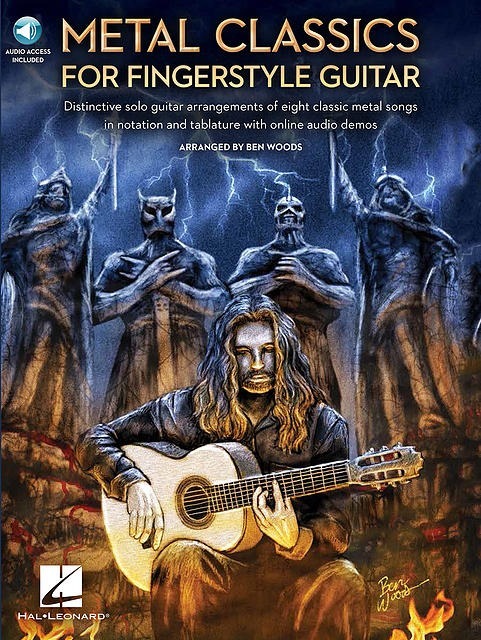 Ben Woods (Heavy Mellow, Flametal) has released METAL CLASSICS For FINGERSTYLE GUITAR – an instructional book for his solo guitar arrangements of eight classic heavy metal songs from OZZY, DIO, KISS, Metallica, Judas Priest, and George Lynch/Dokken transcribed both in musical notation and tablature. The songs include versions of Aces High, Bark at the Moon, Electric Eye, Flying High Again, The Hellion, Mr. Scary, Nothing Else Matters, Rainbow in the Dark and Tears Are Falling. 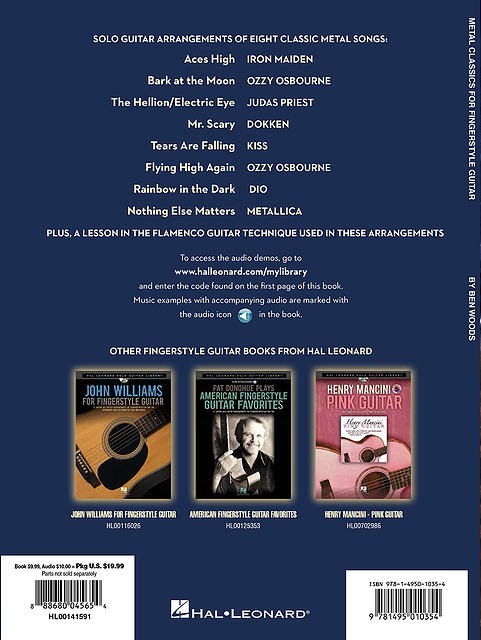 The book also provides online access for the download or streaming of audio demonstrations.